Christmas Present Brush and PSD Pack - Free Photoshop Brushes at Brusheezy! It's just about time to wrap all your presents, and this Christmas Present Brush and PSD Pack couldn't have come at a better moment! Included in this Christmas present brush pack are four different decorated Christmas present brush files and the colorful red and golden Christmas present PSD, jpg, and png files as well. 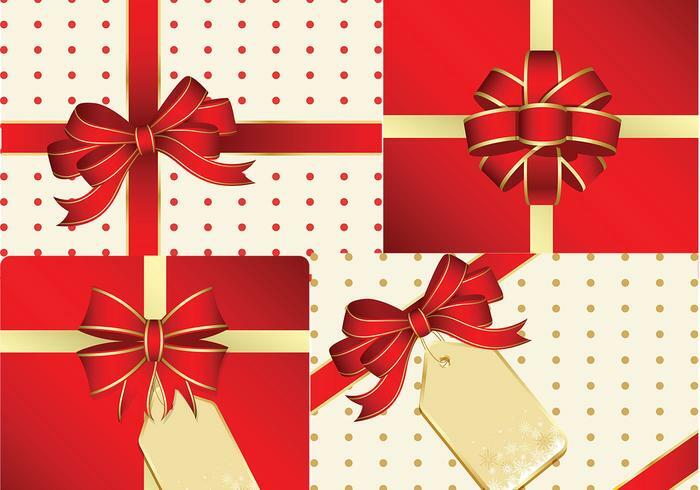 You'll love the cute red polka dotted wrapping paper on these Christmas present brushes and PSDs. Looking for the vector pack? Download the <a href="http://www.vecteezy.com/holiday-seasonal/53638-christmas-present-vector-pack/premium">Christmas Present Vector Pack</a> over on Vecteezy!